Steeped in a history of wild horses that wintered in this peaceful valley, Plains is the perfect example of quiet Western Montana living. Outdoor recreation opportunities abound, including hiking and golf, and with the Clark Fork River winding gracefully through lush terrain, you’ll find ample fishing, kayaking and rafting. Nearby is the Koo-Koo-Sint Bighorn Sheep Viewing Site, with premiere viewing during November and December. 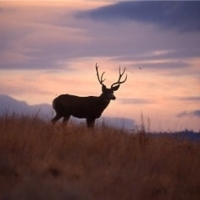 The Plains area is home to abundant wildlife and provides outstanding photography opportunities.